We are looking for our Future Leaders! Unique fast food restaurant concept is looking for a driven, energetic General Manager who is not afraid to roll up their sleeves and work with their team to drive sales and execute with speed! We offer a great opportunity for a Leader who wants to grow their career in the restaurant industry. You bring the drive, determination, and confidence we will teach you our systems! Send your resume today! I enjoy helping people grow their careers in the Hospitality business! And, I love to match Clients with great candidates! My tenure in operations and training has given me an excellent ability to identify those with a talent and passion for our business. There are some awesome people out there, and it is exciting to see them succeed in an industry that was so good to me. 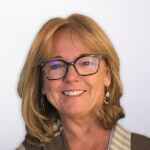 Ann Sheahan joined Goodwin Recruiting in March 2018. Ann grew up in NH but moved South after high school for warmer weather and sunshine. Ann is a career hospitality professional and has worked every position there is in the restaurant industry as she put herself through school and learned the business. She has been a Regional Manager, a Director of Training, and a General Manager for top brands including Chili’s, Einstein Bagels, Krispy Kreme, and Salsarita’s Fresh Mexican Cantina. Ann received an Associate of Arts degree from Valencia College and studied Communication & Journalism at the University of South Florida. Ann lives in Charlotte and loves the growing, local restaurant scene there. She is a proud Dog Mom of three. Ann is passionate about animal rescue and supports her local rescue groups.